Click on section title/number to download detail map (printable PDF) showing lot locations. Some of these files are rather large and may take several minutes to download. 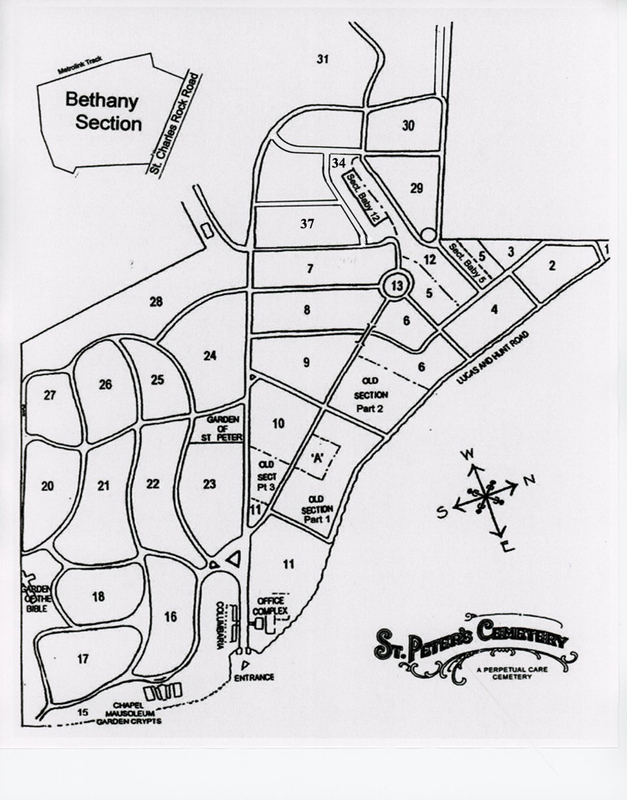 Copies of the individual section maps are available in the cemetery office.